Bill Mefford, Faith Outreach Specialist for Americans United for Separation of Church and State, leads a discussion entitled ‘Religion and Partisan Politics Don’t Mix,’ hosted by the All Flagler Democratic Club at 7 p.m. at the African American Cultural Society. See below. Today: Partly cloudy. A 40 percent chance of showers and thunderstorms in the afternoon. Highs in the lower 90s. Southwest winds around 5 mph shifting to the southeast in the afternoon. Heat index readings 99 to 103. Tonight: Partly cloudy. Chance of showers and slight chance of thunderstorms in the evening…then slight chance of showers and thunderstorms after midnight. Lows in the mid 70s. Southwest winds 5 to 10 mph. Chance of rain 30 percent. Details here. Today’s fire danger is moderate. Flagler County’s Drought Index is at 140. 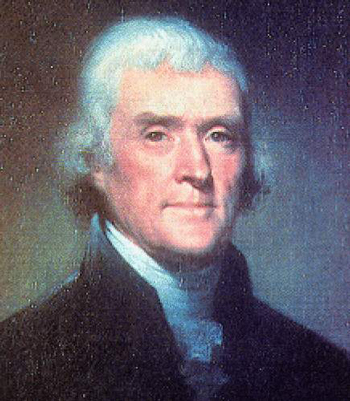 The OED’s Word of the Day: bulerias, n..
–Thomas Jefferson, from an 1802 letter. Medical Pot Webinar: The Florida Department of Health hosts a 1:30 p.m. webinar to discuss implementation of a 2014 law that allows patients with certain conditions to receive non-euphoric medical marijuana. Legal disputes have delayed patients from being able to obtain the cannabis. To register for the webinar, go to this website. Flagler County’s Affordable Housing Advisory Committee meets at 8:30 a.m. in the Financial Services Conference Room, 3rd floor of the Government Services Building, to review four applications for housing assistance aid under the State Housing Initiative Partnership program. The Palm Coast City Council meets in workshop at 9 a.m. at City Hall in Town Center. The council will hear an update from the city’s economic development “partners.” It will also discuss financing the next step of the city’s traffic signal optimization plan, first discussed in December 2014, and discuss its latest contract with the Flagler Humane Society. The full agenda is here. Religion and Partisan Politics Don’t Mix: Dr. Bill Mefford, Faith Outreach Specialist for Americans United for Separation of Church and State, leads a discussion entitled “Religion and Partisan Politics Don’t Mix,” hosted by the All Flagler Democratic Club at 7 p.m. at the African American Cultural Society, 4422 US 1 North, Palm Coast. Call 386-447-7030 for best directions. This program is free, open to the public, all are welcome, no advance arrangements are necessary. 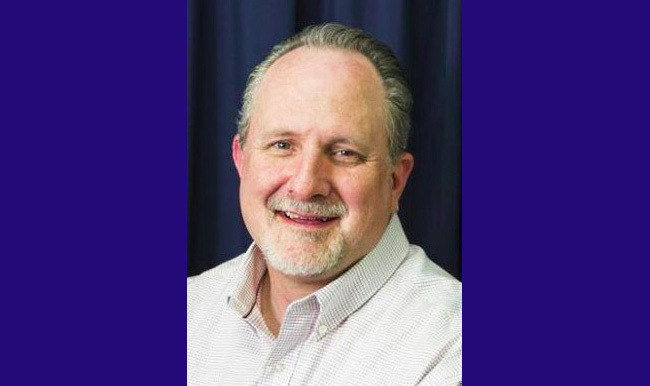 Mefford is Director of Civil and Human Rights for the General Board of Church and Society of the United Methodist Church where he works on immigration, refugees, criminal justice reform, death penalty and torture abolition, religious freedom and other civil rights issues. The Flagler County Centennial Committee meets at 1:30 p.m. in the Financial Services Conference Room, 3rd floor of the Government Services Building. The Flagler County Planning and Development Board meets at 6 p.m. in board chambers at the Government Services Building to review just one application for a swimming pool variance. European Village Reborn: Palm Coast’s Poster-Child of Housing Bust Thrives Again: Last week and two weeks earlier, the Palm Coast City Council voted to approve the latest zoning change at European Village to enshrine a few changes the city has been working on for months with area residents and business owners to help European Village maintain its newfound momentum. All Charges Dropped Against 3 Men Arrested In Belle Terre Shooting Spree in March: Steverson Jean-Louis, 19, of 45 Prattwood Drive, Derek Hall Jr., 23, of 45 Buttonworth Drive, and Phillip Haire, 18, of 11 London Drive, all in Palm Coast, had each faced a charge of firing or throwing a deadly missile into an occupied vehicle, a second-degree felony, and an aggravated assault with a deadly weapon charge, a third-degree felony. 50 People Killed, 53 Wounded at Orlando Gay Club in Worst Mass Shooting in U.S. History: In the deadliest mass shooting in memory–and the worst act of terrorism on U.S. soil since 9/11–, 50 people have been killed, 53 wounded by a lone gunman at Pulse Orlando, a gay nightclub on South Orange Avenue, starting at 2 o’clock this morning. Orlando has declared a state of emergency. ♦ June 16: The Guana Tolomato Matanzas National Estuarine Research Reserve (GTM Research Reserve) invites the public to attend the free lecture series, “Afternoon Insight: Pollinators,” from 3 to 4 p.m. at the GTM Environmental Education Center, 505 Guana River Road, Ponte Vedra Beach. Space is limited, reservations for the free event are required and may be made online here. Registration includes admittance to the exhibit hall prior to the lecture. For more information, call 904-823-4500. ♦ June 22: The Coastal Florida Benevolent Police Association hosts a candidate forum featuring all nine candidates for Flagler County sheriff, at the Portuguese-American Club, 1200 Palm Harbor Pkwy in Palm Coast. Doors open at 6:30 p.m., the forum begins at 7 p.m. All welcome. ♦ July 18: The trial of Anna Pehota, 77, who faces a second-degree murder charge over the alleged killing of her husband in the Hammock in September 2015, is scheduled to begin with jury selection. ♦ July 25: The Plantation Bay Utility Customers Community meets at 6 p.m. at Club de Bonmont, 300 Plantation Bay Drive, Ormond Beach. 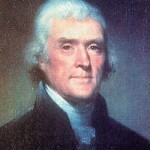 Pierre, your Jefferson quote on the separation of church and state begs the question how did we get here? It seems that Jefferson and the founders were influenced by Luther, whose opposition to mixing of the two was central to his break with Rome, in which he saw the catholic religion corrupted by the cardinal/politicians. One of Luther theological principles was that the worship of god should be between man and god through his interpretation of the bible, a sort of Kierkegaardian way into existentialism. Any meddling by the state was seductive and noxious thus he thought that secular government was best. Luther thought was flawed in two ways, Aristotle was right in his observation that very few can leave the cave and not be blinded by the light. The interpretation of divine writings leads to all kinds of misconceptions, fanatical belief, and the suspension of rational thought. The second was to neglect human nature even when it comes to the worship of god. Man is a very social being, anything he does is in groups thus he forms institutions, teams, so all the members set out to spread the word and since their god is all knowing, and the creator, how can he be wrong? These institutions become part of the political process and prey to the mundane. The disciples of Luther splinter and start to elbow each other out, temptation set in and begin to see the state as an ally, and in this Luther was right man is no longer searching for god but for accommodation with the government. It sound as if I am taking sides against the protestant, I am not. The above argument is applicable to any religious group, and these days examples abound. Pierre you are a prolific writer, I don’t know if you have staff, but as I see it you are journalist/opinion writer/curator of the web site. I am envious of people that can write with such ease. In spite of that this might be a good topic for your opinion pieces, and I know ideas you have what you need is time.